Many Patches ago, five-time race champion James B. Kobak III created a spring training and racing series to lead into the annual Patch Sprint. Designed to be a mix of race training, course orientation and food and fun gathering, the event has had several different names: DOOM, SLOP ("seven labors of Patch" or "slow lazy old people"), and most recently BEAST. Each season series is accompanied by a theme. Events are Thursdays at 5:30 pm at the location in (parenthesis). All runs will begin and end at the designated spot and culminate with a potluck picnic dinner. 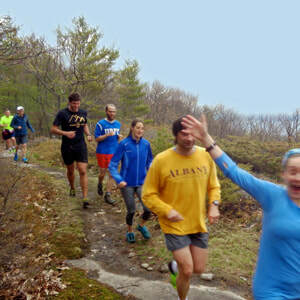 ​April 4... SCIENCE (1812 homestead) - Honor the science teacher with a run up Rattlesnake. Study the flora and fauna (look out for rattlesnakes) and gauge your chemistry with other hikers. April 11... ART (homestead) - Bare Mountain and the nature/history trails. Wet snow melt and skin gouging from low hanging branches give you the blood and ingredients needed to create a watercolor of evil art. April 18... HAPPY 50th! (south poko lot & ABC) - Jim Kobak is getting older than the trail up Pok-O is getting longer. A traverse up and down the mountain will be followed by a party at Ausable Brewing Company! April 25... SPORTS FANATIC (homestead) - Put on your NY Jets shirt, NJ Devils sweater or whatever other team you root for, and run a 5K from Beaver Road to the Sugarloaf field. Run, or walk (like Kobak) and maybe finish last (like the Jets and Devils). May 2... 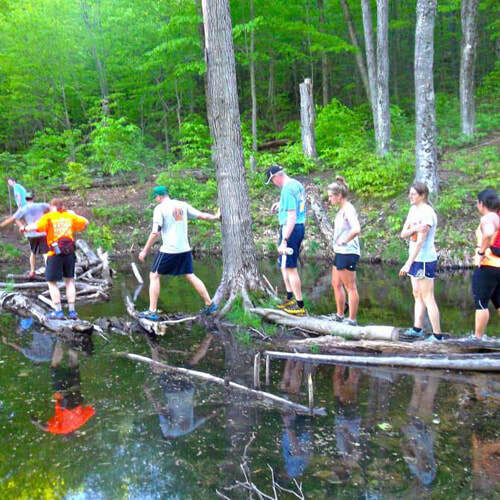 TEAM COOKIE (homestead) - Help take a bite out of CF with this run and hike up Rattlesnake. Join Jim, Brookie and the Tappys for a cookie party at the Homestead. May 9... HEAVY METAL (homestead) - To the top of Sugarloaf and - if you choose - down the backside. Enjoy the post-run picnic to the soothing recorded sounds of Executive Disorder. May 16... SKI, HIKE & BIKE (south poko lot) - Kobak has dedicated his life to these pursuits,having guided and/or created events in all three, including the BEAST series. This time-trial up Pok-O, followed by a social jog down, should give you an idea of your preparedness for the Patch. May 23... Course Marking and Summit Cache (Pok-O-MacCready Camps dining hall) - Stop by camp to pick up arrows, flagging and aid supplies to help ready the course. Party to follow. May 26... THE PATCH SPRINT!!! While 5:30 is the stated starting time, participants are encouraged to begin when they want, and go at their own pace. 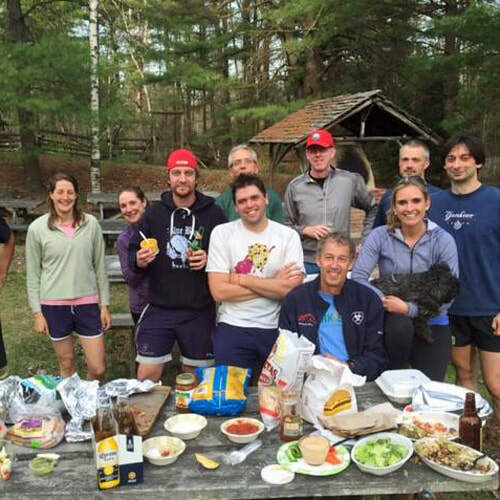 And, if you don't want to run or hike, just bring a dish and show up for the picnic, usually beginning 6:15-6:30. For schedule changes, weekly updates, and information, please “like” the BEAST Facebook page.